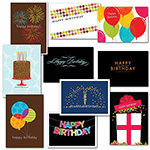 Check out your birthday card bundles! 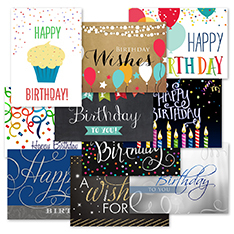 Far more heartfelt than sending ecards, these personal packs of birthday cards are a genuine way to celebrate this special day in the lives of customers, employees, family, and friends. 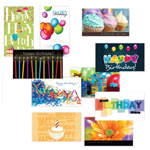 Choose birthday cards for office use or close personal relationships. 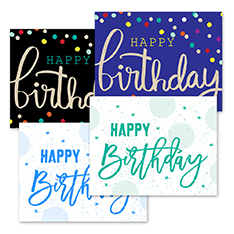 Our modern birthday greetings come on quality birthday card stock with great designs, messaging, colors, fonts, and themes. 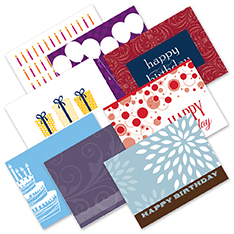 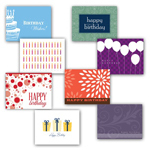 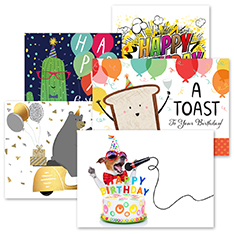 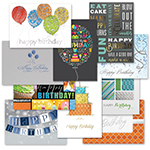 Birthday card assortment packs come with 40 – 500 variety birthday cards, depending on which birthday card pack you choose. 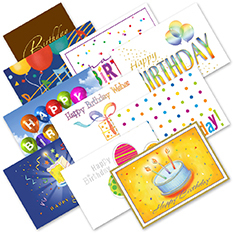 These packs of birthday cards feature various sizes, come with a premium satin finish, both vertical and horizontal folds. 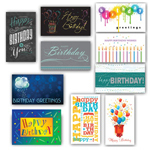 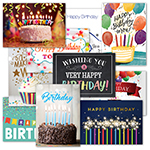 Choose a birthday card assortment value pack that saves you money while at the same time offering outstanding ways to send birthday greetings throughout the year. 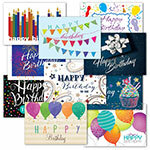 You'll never have to worry about forgetting someone's birthday when you have a birthday card assortment!